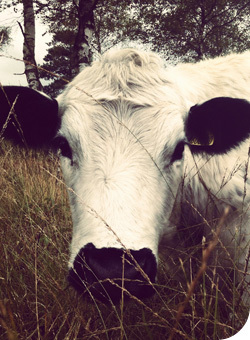 All our beef comes from grass-fed, locally reared cattle. We only use breeds that are renowned for their meat-eating qualities, including Sussex, Limousin and Hereford crossed with Aberdeen Angus. This allows us to select beef produced with optimum levels of intramuscular fat which gives you the most succulent, flavoursome beef. We hang our beef for a minimum of 28 Days before offering it to our customers. This further enhances the flavour and tenderness. We hang our beef for a minimum of 3 weeks before offering it to our customers. This further enhances the flavour and tenderness.